WPW029425 WALES (1929). 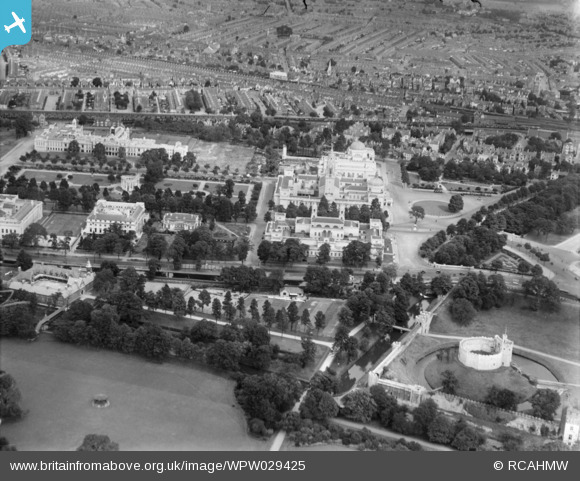 View of Cardiff showing Cathays Park, Cardiff Castle, and University College of South Wales and Monmouthshire, oblique aerial view. 5"x4" black and white glass plate negative. 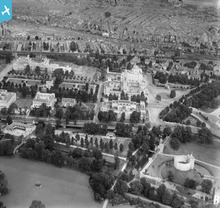 Title [WPW029425] View of Cardiff showing Cathays Park, Cardiff Castle, and University College of South Wales and Monmouthshire, oblique aerial view. 5"x4" black and white glass plate negative. Ex Taff Vale Railway main line Merthyr to Cardiff and sidings. Cardiff to Caerphilly railway line GWR.